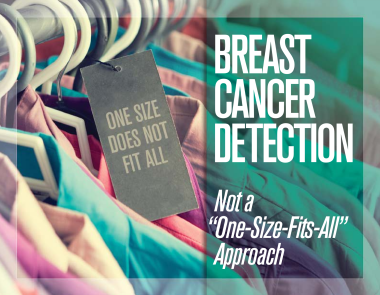 Accurate clinical detection of breast cancer depends on the effective use of complementary technologies. 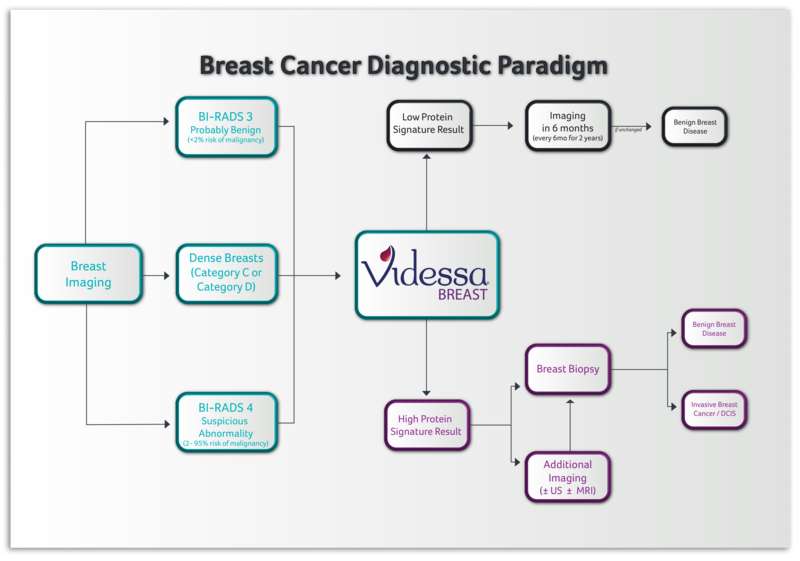 When considering biopsy and/or additional imaging in patients with an abnormal or difficult-to-interpret imaging finding, order Videssa Breast, prior to additional diagnostic procedures, to help determine if immediate follow-up is warranted. Follow these 5 easy steps to begin ordering Videssa Breast. 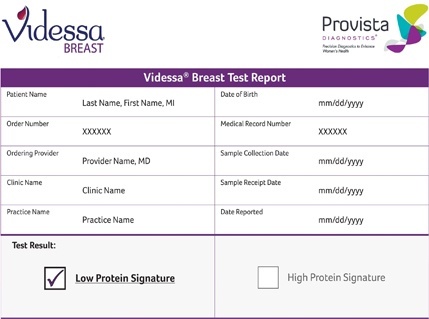 For additional information on how to order Videssa Breast, watch the video below and download our free forms, or contact Provista Diagnostics at 1-855-552-7439. Complete test requisition form, include patient demographics form and a copy of the insurance card. Ship patient’s sample directly to Provista Diagnostics. Turnaround time of 5-7 business days upon receipt of sample.